Halloween is easily one of my favourite holidays of the year. However cultural appropriation is no fun, and should be taken very seriously. 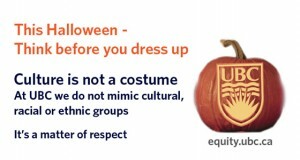 And if you’re unsure whether or not if your costume is racist, here’s a piece by Kat Lazo of Everyday Feminism. 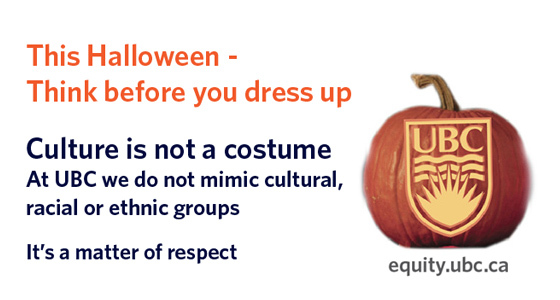 The UBC Equity & Inclusion Office can connect you to more resources on how to be respectful of other people’s cultures, especially during this time of year.